I’ve updated my website and chose to go HTML 5 to eliminate the Flash issue. Because my old Flash site was not viewable on IPADs and smartphones, we had constructed a separate website that ran on those devices. Well, I have enough things going on besides updating two websites every time we had something new (on top of printing the book for my agent). That was a pain in the a**. 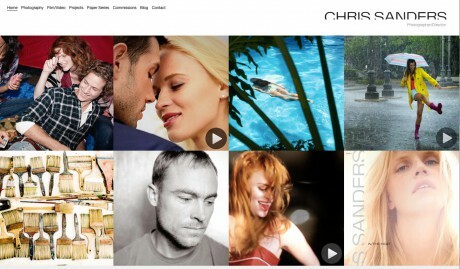 Plus the new site is simple and easily showcases my print and video work. I know people don’t have a lot of time to be surfing for photographers/directors, so we made it run faster as well. Even included a nine image thumbnail at the head of each video to allow you to get an idea what the piece is about before you play it.